Some time ago a news about Moneypenny hit the internet and there were rumors about it that it’s the codename used by Nokia for their new dual sim windows phones and looks like they were correct. A screenshot of the smartphone got leaked on the internet confirming that they will be releasing two new Windows 8 smartphones Nokia Lumia 630 and 635 as they were codenamed Moneypenny. The screen shot shows two networks supporting 3G on top of the handsets and the name Moneypenny is taken from a James bond movie. For a smartphone to support two sim cards and both with the ability to run 3G at the same time as well sounds rather amazing. Leaked pics also show the availability of Vine app, Maps, Mixradio and tons of other apps and shows no signs of captive buttons on the smartphone which leads to the conclusion that Nokia might get rid of them and come up with on screen controls. With Moneypenny Nokia is also rumored to be working on another smartphone codenamed Goldfinger and it is said that it will support 3D touch technology which would allow users to controls everything without touching the actual screen on the smartphone. If you look at the line of Nokia smartphones, Moneypenny lies in the third generation smartphones as Nokia came up with smartphone like Lumia 925, 625 and 525 in their third generation smartphones where as in their second generation smartphone they came up with 520, 620, 720, 820, 920 and 1080 so it seems legit to place them in Nokia third generation smartphones. As far as the resolution of the Moneypenny goes it shows 480 x 854 but as we known that Windows 8 does not support that kind of resolution and among all the other resolutions 720 x 1280 has the same aspect ratio that of 480 x 854, so it is expected that the smartphone will have a 720 HD display. There is no actual release date on the smartphone but it’s good to see the company showing us some evidence of them working on it. That would be really excellent new if windows has released dual sim from windows series. 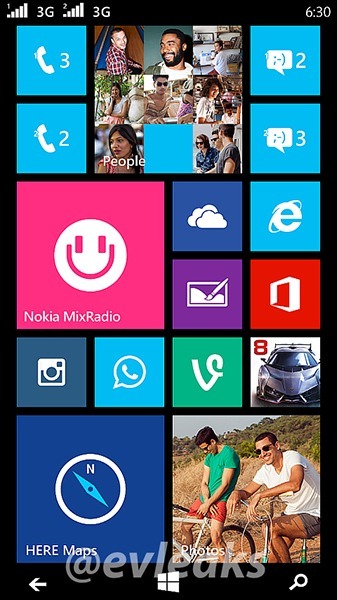 I really loved the windows phones such as lumia and I already own a lumia 625 and I’m love in it.